Mt. 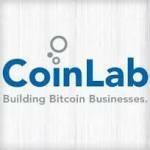 Gox announces CoinLab as their exclusive partner in the United States and Canada. As of March 29, all US and Canadian customers currently transacting with Mt.Gox will transact through CoinLab, Inc. Mt.Gox will continue to provide back-end exchange clearing services, and transition over handling of customer accounts, deposits, withdrawals, and other functions to CoinLab’s US-based team. CEO of CoinLab, Peter Vessenes: This move will bring local product delivery, liquidity and customer service to a huge group of Bitcoin fanatics. We’re excited by, and awed at the responsibility we have caring for our over 100,000 new customers and over a half-billion dollars in annualized trade volume. Karpeles: This should be a huge win for everyone — faster deposit and withdrawal times, easier-to-reach customer service, and better access for United States financial markets, market makers and liquidity providers. Karpeles is sued by a customer who claims he had paid 15,000 euros ($20,700) for a website to be developed that was never built. The Tokyo District Court rules in May 2013 that Karpeles has to return the money. Database hacked; 500,000 coins missing or stolen. Exchange closes. A hacker transfers 25,000 Bitcoins are transferred from 478 accounts on the currency’s largest exchange — Mt. Gox. Mt. Gox admits to a major breach and shuts down. Karpeles: One account with a lot of coins was compromised and whoever stole it (using a HK based IP to login) first sold all the coins in there, to buy those again just after, and then tried to withdraw the coins. The $1000/day withdraw limit was active for this account and the hacker could only get out with $1000 worth of coins. Apart from this no account was compromised, and nothing was lost. Due to the large impact this had on the Bitcoin market, we will rollback every trade which happened since the big sale, and ensure this account is secure before opening access again. Mark Karpeles incorporates Tibanne, a Japanese corporation, based in Shibuya, Tokyo. The company is named after his cat, which was named by Karpeles’ grandmother. Many of you knew, some didn’t know, I went to Japan from July 15th to August 15th. During one full month, I had to speak Japanese, and live in the Japanese way. I could stay in a guest house in Omiya, Saitama, and also spent one week in Osaka (during which I could go to Kyoto). Thanks to that, I gained a few levels in Japanese Mastering, allowing me to speak Japanese (almost) fluently, speak with Japanese women which resulted in strange results, such as me, being a geekmaster, having a Japanese girlfriend. Karlpeles moves to Israel, hoping to get closer to his Catholic faith while working for internet company Fotovista. In a blog post he argues that Hebrew is as important to Christians as it is to religious Jews. He only worked at this job for a few months before he once again began to feel depressed and “empty” according to one blog. In addition to his work at Fotovista he works on his own site, Ookoo.org. However, due to power outages and service disruptions he loses most of his customers and returns to France. Hired by Linux Cyberjoueurs, Owned by Stephane Portha, the company develops Flash games and Graal online, an MMO RPG. 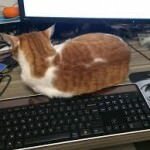 Through the following year Portha complains that Karpeles is spending too much time on internet chats instead of coding. I find myself obliged to notify you of a reprimand for your misconduct. In the office Friday, March 12, 2004 I observed that you not only did not do your [coding] work, but that you were [instead] using Internet chat software. Also, I found it particularly troubling that you would lie [to me] when i asked you about what you were working on and that you [did not stop] your use of this software to chat after several requests for explanation [of your behavior]. If this happens again, we will be compelled to take serious disciplinary action, rather than a simple reprimand. Please accept my sentiments on this matter, sir.